Delivery service includes food delivery, grocery delivery, E-commerce delivery, pick and delivery service, laundry collecting and dropping services, cab booking and courier services; all this needs an effective managing skill for maintaining a delivery service. In an era where the delivery services are developing each day by an inch it’s very mandatory to satisfy your customer in order to withstand in the market of delivery service. 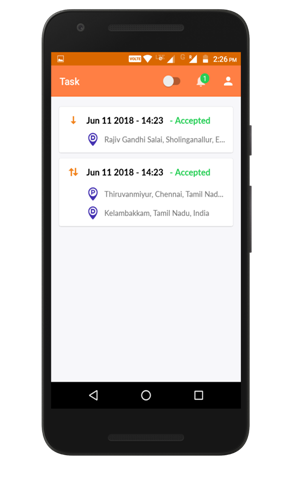 Assuming to have 50 delivery agents with you (for example) allocating task to them is a complex issue, in order to maintain a comfortable and easy way of working with the delivery agents you can have a mobile based application to maintain your delivery service that creates and shows the services allotted for every delivery agents in their mobile application. Everywhere the delivery service is managed in such a way. Task manager is an android application available in the play store can be downloaded and used by the driver at no cost. 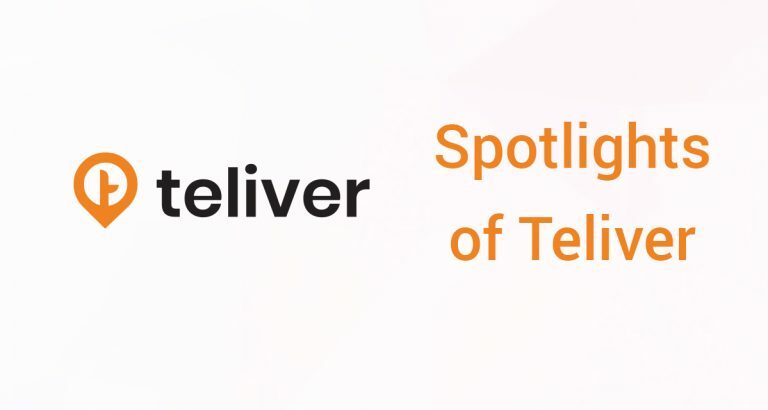 If you’re maintaining a delivery service then you can allocate the delivery task details through TELIVER application. You can create a pickup, drop or both pick and drop service to your delivery agent in your wish. 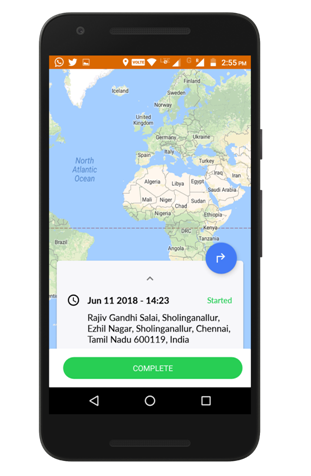 Initially, you have to register your driver in the dashboard with information that includes driver name and driver id (optionally mobile number and Email) so it is easy to identify your driver easily. Register the driver in dashboard . 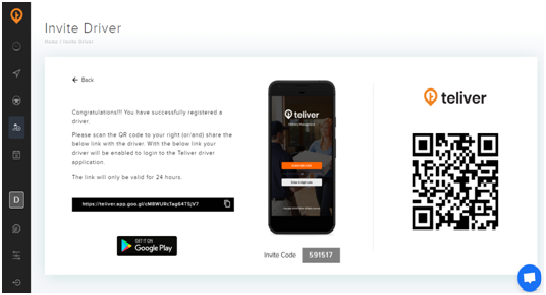 On successful registration of driver you will see a invite code, a qr code and link. 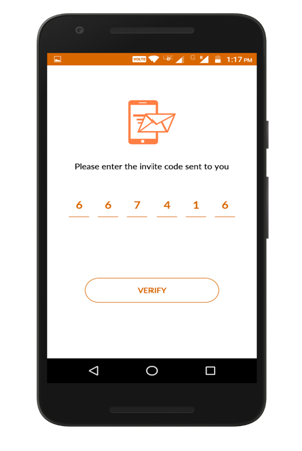 Your driver can use one of it to login to the application. 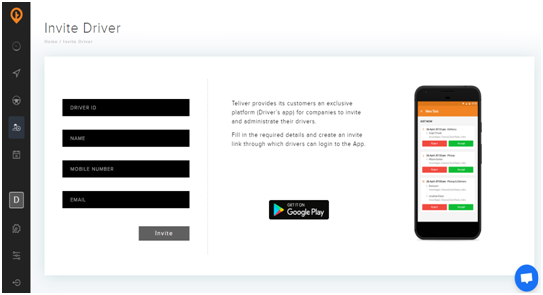 The driver will use this login invite code to login to Task Manager Application, once registered the driver will operate under you. 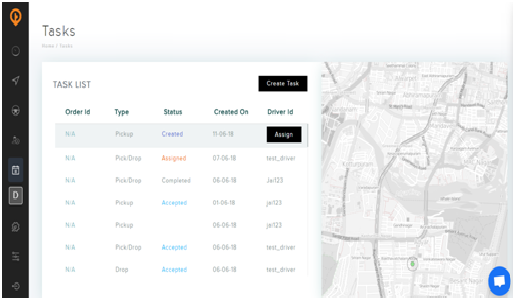 You can create a task and assign to any of the driver registered. While assigning the task to driver, list of options will be shown. The list of an available driver to pick a task. The kilometer of the driver from the pickup request so you can assign the task to the nearest drive. The presence of the driver near the customer requested location. You and also assign task through the available api. 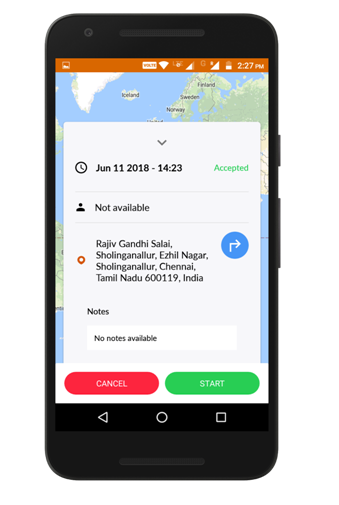 Once you assigned the task to the driver he will receive a push notification in his application. The driver will see the list of task assigned by you. He can accept or reject the task based on his availability; if he is not available for further task pickup he can reject the task so you can assign the task to someone else to complete the task for customer. You and also get task through the available api. The driver can see a list of task accepted by him to start a task at the scheduled time. This api is to retrieve the list of accepted task. You and also Accepted task through the available api. Then the driver can start a task from the list of accepted task in a click. Once the driver has started the task whether it’s pickup or drop, then the location of him will be transmitted for tracking his movements. Admin can view the movements in our Website dashboard. The driver will update the status on the completion of the task. 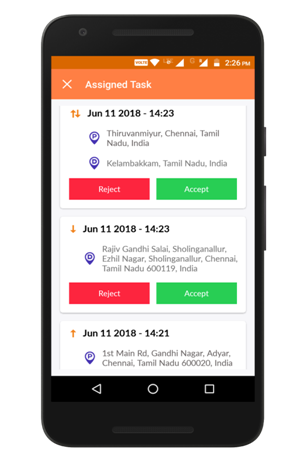 The above screen can be used to complete the task assigned to the driver, once he reaches the requested place or completed that service. 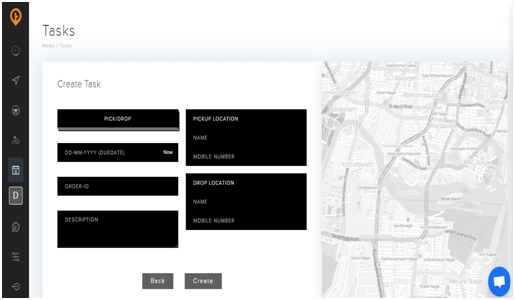 The dashboard will contain all the necessary information of the task completed and the status of the driver.